WASHINGTON — Federal health officials took the first step Thursday to drastically cut nicotine levels in cigarettes so they aren't addictive. The Food and Drug Administration estimated that its sweeping anti-smoking plan, first announced last summer, could push the U.S. smoking rate to 1.4 percent. 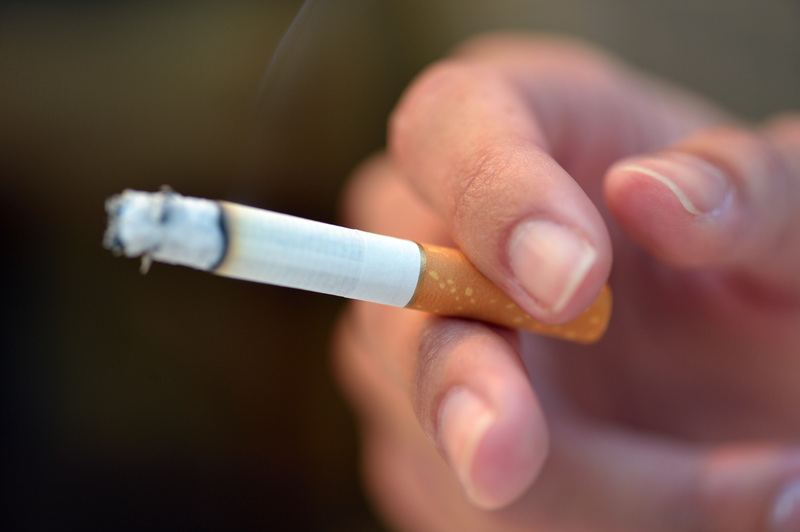 Now about 15 percent of U.S. adults smoke. FDA regulators estimate about 5 million more people would quit cigarettes within one year of new nicotine limits. Currently there are no limits. Under law, the FDA can regulate nicotine although it cannot remove it completely. "Our estimates underscore the tremendous opportunity to save so many lives if we come together and forge a new path forward to combat the overwhelming disease and death caused by cigarettes," FDA Commissioner Scott Gottlieb said in a statement. He says the United States is "at a crossroads when it comes to addressing nicotine addiction and smoking in this country." Nicotine is highly addictive, but it is not deadly by itself. It's the burning tobacco and other substances inhaled through smoking that cause cancer, heart disease and bronchitis. "We think it's the tar and other impurities that cause the cancer, but the nicotine causes the addiction which keeps you [smoking], so it becomes this circle," CBS News medical contributor Dr. David Agus, the head of Westside Cancer Center at USC, told "CBS This Morning." Smoking kills 480,000 people in the U.S. each year — equivalent to nearly one in five deaths — even though smoking rates have been declining for decades. Not only is nicotine addictive, Agus pointed out, "there's actually been more nicotine in tobacco over the last several decades — it makes it more addictive. And this bold plan is, let's change it in the other direction, reduce nicotine so it's less addictive." The agency published its formal notice online Thursday to begin regulating nicotine in what's expected to be a multi-year process littered with potential obstacles. The FDA is seeking outside comment on a number of issues, including what nicotine levels should be permitted and whether the change should be implemented gradually or all at once. The FDA gained authority to regulate ingredients in cigarettes and other tobacco products in 2009. But FDA's regulatory efforts have been hampered for years by legal challenges by Big Tobacco companies. Cigarette makers generally have vowed to take part in the FDA's regulatory process for nicotine levels, often emphasizing the long, complicated nature of implementing new regulations. The FDA has sponsored several recent studies showing that when smokers switch to very low nicotine cigarettes they smoke less and are more likely to try quitting. This research was pivotal to establishing that smokers won't compensate by smoking more cigarettes or inhaling more deeply if nicotine levels are low enough. One study limited nicotine to less than 1 milligram per gram of tobacco. The plan to restrict nicotine in cigarettes is only part of a broader anti-smoking push outlined by Gottlieb. He envisions the FDA sanctioning a new class of federally reviewed products that deliver nicotine without the toxic byproducts of burning tobacco. While some of those products might bear similarities to e-cigarettes, the FDA has not granted any company permission to market its product as "reduced-risk" compared to cigarettes. "We believe this unprecedented approach to nicotine and tobacco regulation not only makes sense, but also offers us the best opportunity for achieving significant, meaningful public health gain," Gottlieb said.